Become a C.S.CARGO partner and take advantage of our C.S.CARGO PARTNER PROGRAM (CPP). We respect long-term and beneficial cooperation with our contracted partners, which is why we launched a project with the goal of constantly improving and deepening partner relationships. Membership in the CPP provides our contracted partners with new business opportunities in Central and Eastern Europe. The CPP program targets long-term cooperation between C.S.CARGO and contracted haulers. The program allows us to create synergies, such as maximizing transport capacities and lowering costs on both sides. This partnership is beneficial not only for us, but also for the hauler and for the customer, who can rely on high-quality service at reasonable prices. Cooperation as part of the partner program has a clear set of rules and costs. 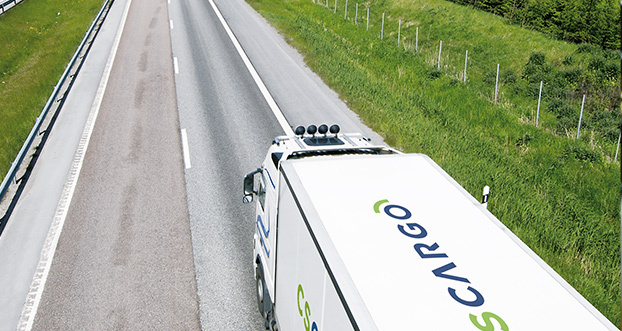 C.S.CARGO provides complex transport services to a an extensive network of clients. The CPP program runs on regular long-term contracts. Through the CPP program, you can utilize your extra capacity by servicing C.S.CARGO clients while supporting the growth of your own company. We regularly utilize the extra capacity of our contracted haulers. You can drive just for us or fill your extra capacity as part of your trips. We plan our routes with a focus on maximizing effectiveness. Using C.S.CARGO's partner program, you can lower your costs and develop your own company. The opportunity to use our Truck Point service and maintenance center. Costs can be shared and counted for both parties upon agreement. We rent and sell transport units, or only tractors or trailers.